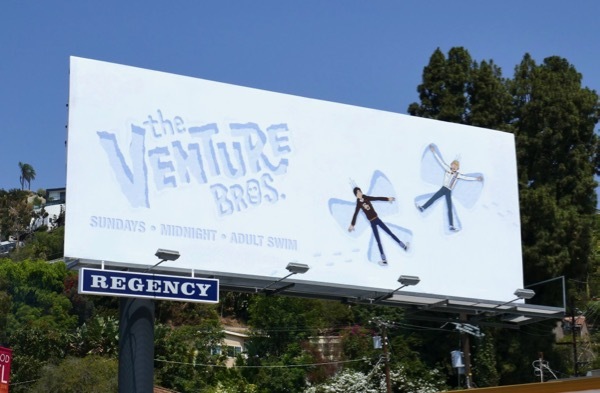 Now here's one way to grab attention for an animated series in its seventh season, have its stars make snow angels in the city skyline whilst the temperatures are soaring in L.A.'s summer heat. 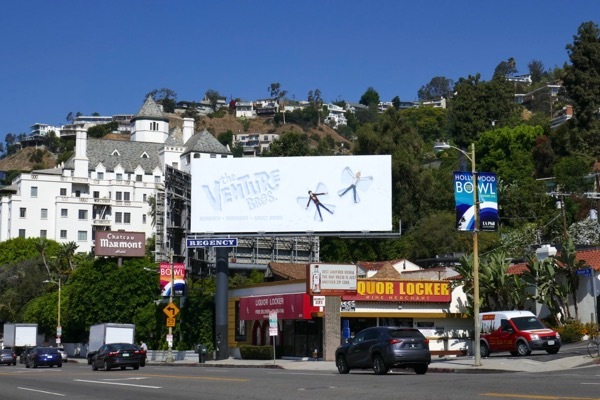 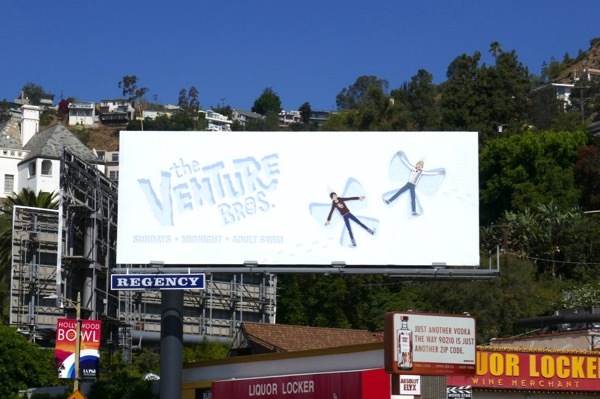 This snowy seventh season billboard for The Venture Bros. was first spotted along West Hollywood's Sunset Boulevard on August 2, 2018, and it's also cool that the ad creative's snow angels look like butterfly silhouettes of the villainous 'Monarch's' henchmen. 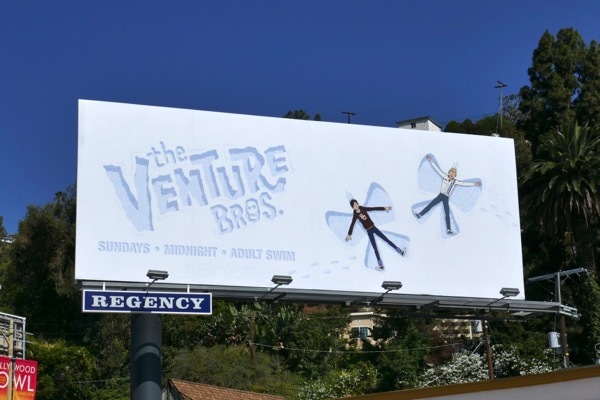 Fans of the Adult Swim cartoon series can also enjoy these previous season promo billboards for The Venture Bros.
Now that the long wait between seasons is over, are you ready to chill out with ten all-new episodes featuring the globe-trotting, crazy misadventures of 'Hank' and 'Dean Venture'?